* Stainless steel shaft has a higher stability and protection. * Applicability to a wide variety of mechanical and industrial control. 3.Manufacturer: quality control, better delivery control and better cost control. 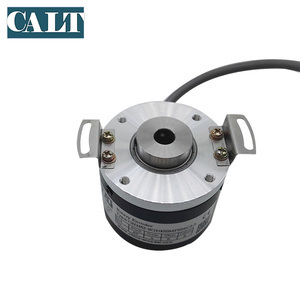 4 YRS Yueqing Bojia Industry Automation Co., Ltd.
1 ) Maxwell Incremental Rotary Encoder Features: *** Incremental model *** External diameter of 40mm *** Resolution up to 15-5000 CPR *** Various output type ***Solid shaft type and built-in type Related Products 1. Item is New and Original. 2. In stock and Fast Shipping. 3. Competitive Price (do you have your target price9 If yes,tell us for better quotation) 4. Responsible for Product quality,provide Original items with 1 year warranty Application Packaging & Shipping Contact US Sunshine Mobile&whatsapp:+8615868148966 Skype:Sunshine. We will track the products before you receive. /We can make more profits for you. We have a professional technical team and strong technical force. 2 YRS Shanghai Pekwell Industrial Control System Co., Ltd.
11 YRS Yueqing Ruihua Cabinet & Whole Set Equipment Co., Ltd.
1. professional manufacture for rotary encoder, founded in 2005. 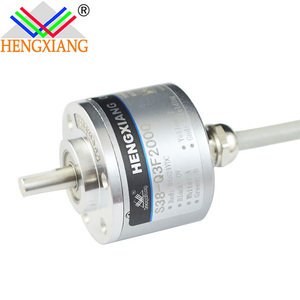 2.good quality 3.sold well in the oversea market 4.have CE approved incremental rotary encoder,optical rotary encoder,rotary position encoder S38 SERIES Shaft diameter 6mm,housing diameter 38mm ELECTRICAL SPEC output circuit open collector NPN output voltage output push pull output line driver output supply voltage 5-26 5-26 5&plusmn;0.25 5-26 5&plusmn;0.25 5-26 current consumption 80mA 80mA &le;80mA &le;150mA load current 40mA 40mA 40mA 60mA single high level min Vcc*70% min Vcc-2.5V min Vcc-1.5V min 3.4V single low level Max 0.4V Max 0.4V Max0.8V Max 0.4V rising time Tr Max 1us Max 1us Max 1us Max 200ns declining time Tr Max 1us Max 1us Max 1us Max 200ns response frequency 300kHz 300kHz 300kHz 300kHz MECHANICAL SPEC number of pulses starting torque without sealing Max load permitted on shaft shock resistance vibration proof 2500 &le;0.05Nm radial 50N,Axial 20N 50G/11ms 10G 10-2000Hz rotational inertia Working temperature Storage temperature Protection class Weight 4x10 -8 kgm 2 - 30~85&deg;C - 35~95&deg;C IP51 100g CONNECTIONG TABLE Signal A B Z A B Z Vcc GND Cable color Green White Yellow Brown Grey Orange Red Black . Residual voltage: 0.4 V max. Residual voltage: 0.4 V max. Residual voltage: 0.4 V max. 2. 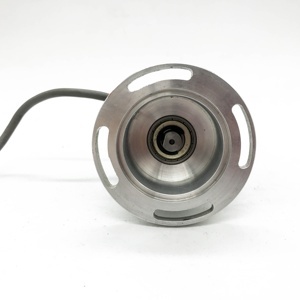 If the parts need to order for days or delay for shipping,we will inform you advance by email. 1. If the part you received is certify be defective,you can apply to get replace or get refund. 2. If return ,buyer need to return the goods within 45days. 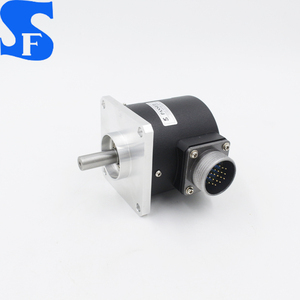 1 YRS Wuxi Medre Photoelectric Technology Co., Ltd.
Alibaba.com offers 8,174 optical shaft encoder products. About 92% of these are sensors, 1% are other electronic components, and 1% are radio & tv broadcasting equipment. 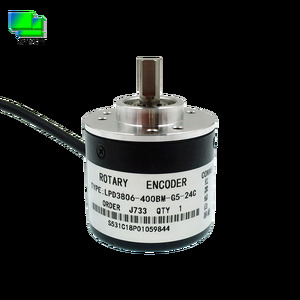 A wide variety of optical shaft encoder options are available to you, such as speed sensor, position sensor, and magnetic sensor. 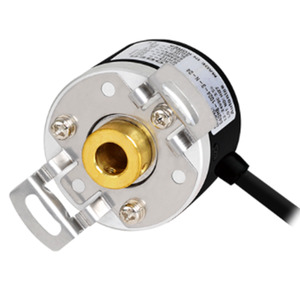 You can also choose from optical sensor, hall sensor. As well as from digital sensor, switching transducer, and analog sensor. 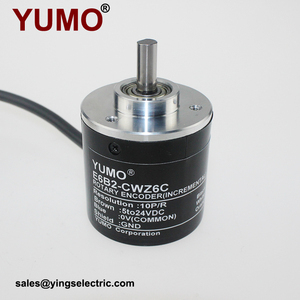 And whether optical shaft encoder is free samples, or paid samples. 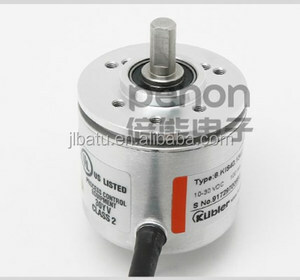 There are 8,174 optical shaft encoder suppliers, mainly located in Asia. The top supplying country is China (Mainland), which supply 100% of optical shaft encoder respectively. 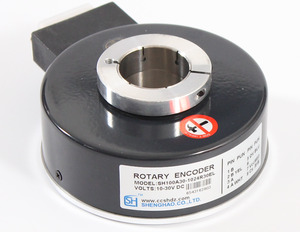 Optical shaft encoder products are most popular in North America, Southeast Asia, and Eastern Europe. You can ensure product safety by selecting from certified suppliers, including 8,174 with Other, 2,550 with ISO9001, and 230 with ISO22000 certification.